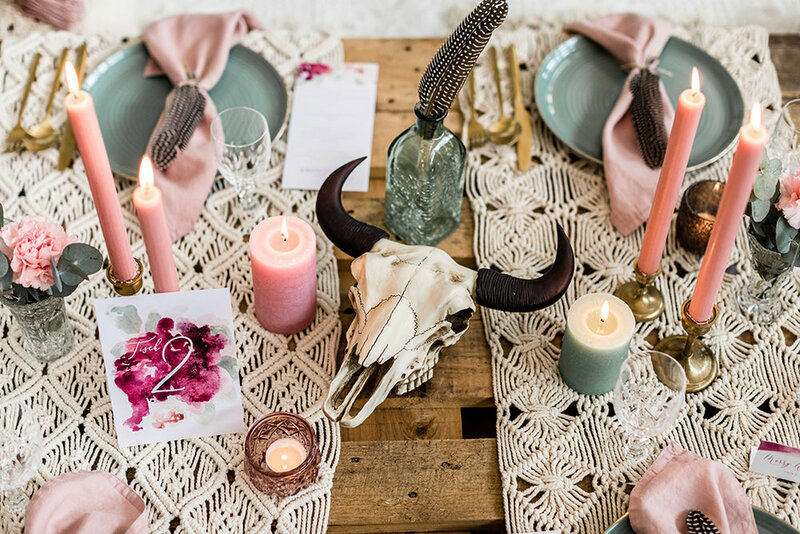 The bohemian wedding trend isn't going anywhere. These effortlessly beautiful ideas, which incorporate elements of nature along with a certain romanticism and individuality. Bohemian style, also known as boho-chic, has come to mean free-spirited and draws influences from hippie culture. 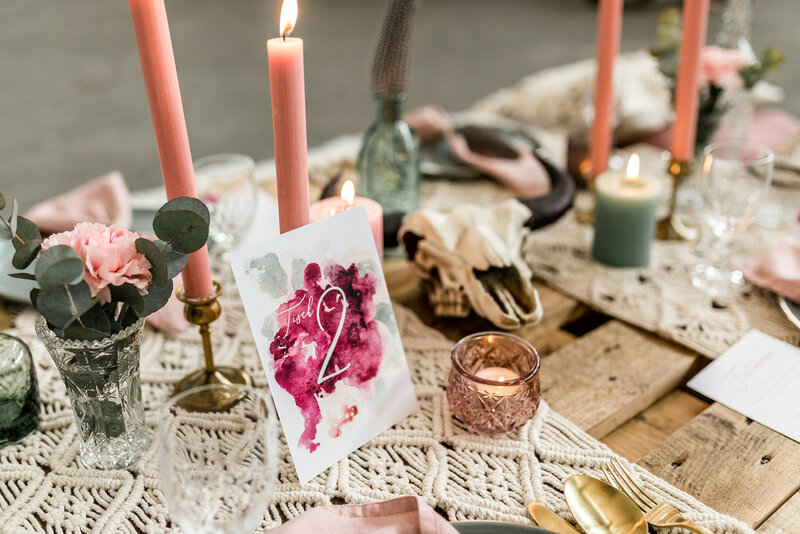 Bohemian brides and grooms can embrace the theme fully, through everything from their fashion to their décor. 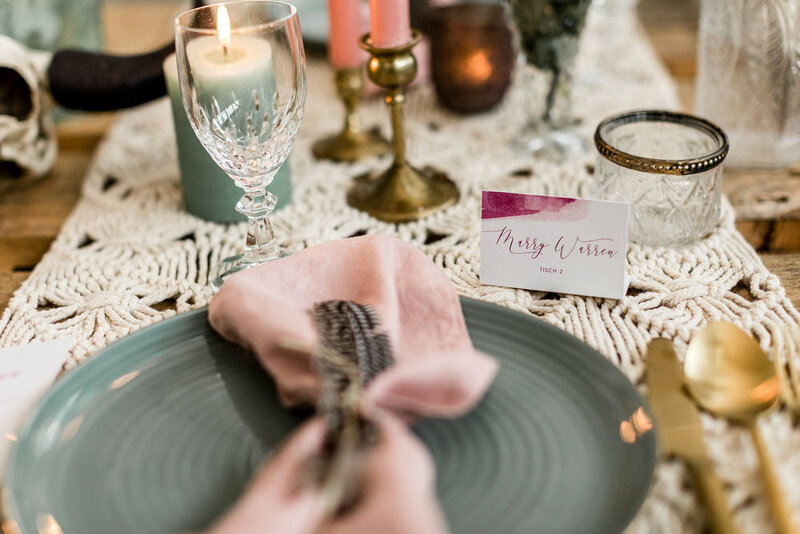 Set the tone for a bohemian wedding with stationery that hints at the theme. This suite, which was inspired by the the overall colors of the flower bouquet and decor, mixing green, pink and burgundy.